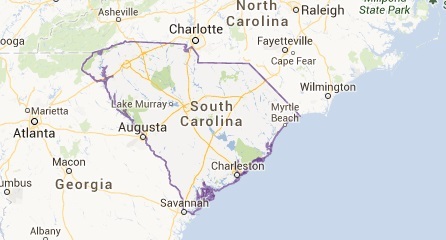 South Carolina Department of Health and Environmental Control | Fight the bite! 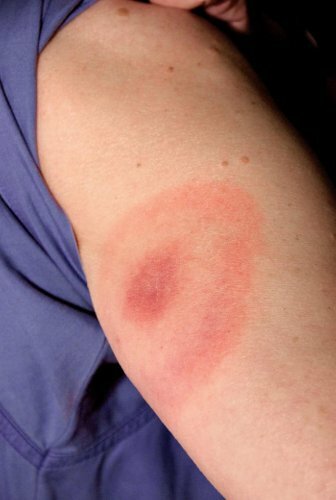 Every size tick is capable of spreading Lyme disease. 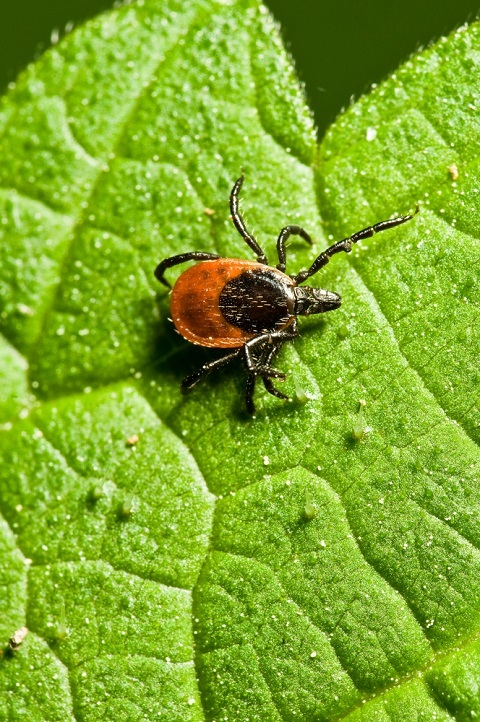 The combination of a milder than usual winter, paired with abundant rainfall and humid temperatures have caused a boom on the numbers of ticks crawling their way all over the Columbia, SC area. With more ticks in the region, there is more risk of contracting a vector-borne illness or disease from these ticks that could possibly be infected with Lyme disease, Rocky Mountain Spotted Fever, Anaplasmosis and a host of other dangers. Some of the types of ticks that harbor the most risk of disease are often the most difficult to see before it is too late. 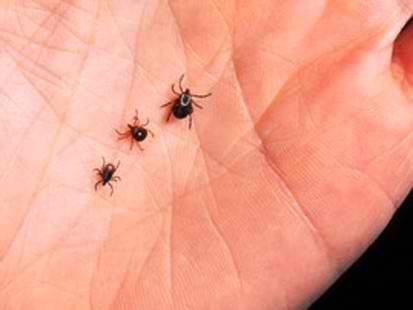 Deer ticks are responsible for the spread of Lyme disease and Babesiosis. Deer ticks are smaller in size than other species of ticks, and are especially tiny during the nymph stage of their life. 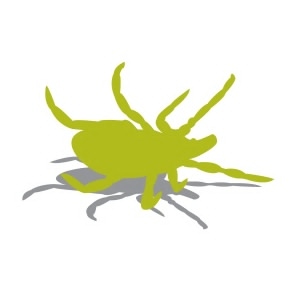 Some nymph ticks, also referred to in this area as “seed ticks”, are no larger than a poppy-seed. Though small in size, they pack a big punch if carrying a tick-borne illness. Since there is no cure or vaccination for Lyme Disease or Babesiosis, it is crucial that residents take note and exercise effective tick control practices on their property. According to the South Carolina Department of Health and Environmental Control in 2011, 39 South Carolinians developed Lyme Disease. The conditions are more ripe this season for Lyme Disease cases in our state and this gives rise to the need for SC tick control and prevention. Keeping debris picked up, bushes trimmed, and high grass mowed are the first steps in preventing ticks. Frequent checks for typical tick breeding grounds such as along fence lines and rocky areas should be part of your regular yard inspections. 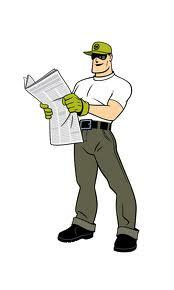 Having a licensed tick control professional treat your property is also very important. 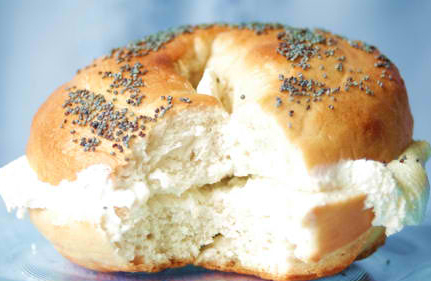 Having a lot of these around could mean more cases of Lyme disease in our area. A thorough tick control and prevention program should include the use of tick tubes in conjunction with a barrier spray program to halt the life cycle of the tick to prevent the risk of coming into contact with a potentially infected tick. 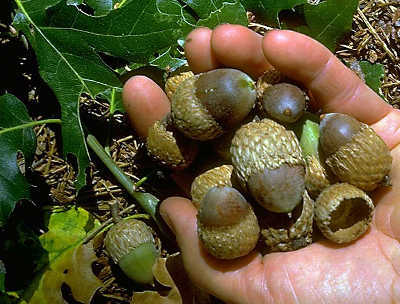 Tick Tubes use is especially important this season because of the tremendous crop of acorns in our area this year. A recent report by WISTV channel 10 indicates that researchers have concluded the acorns abundance is spurring a rise in mice populations and thus a rise in the deer tick populations as well. There is a direct link between mice and the spread of Lyme Disease. 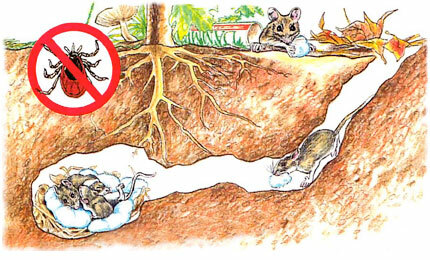 Deer ticks hitch a ride on mice and are taken back to the rodent’s den where they feed and mature in safety. They then emerge as nymphs ready to feed from us, our children and our pets. The abundant supply of acorns will spur an increase in mouse populations, and with more mice come more deer ticks. Tick tubes are the most effective means to disrupt the life cycle of the tick and decrease the number of deer ticks to spread Lyme Disease and Babesiosis. Tick tubes are small tubes filled with cotton that has been treated with a mild insecticide that is harmless to the mice, but deadly to the ticks living in their nests. The mice will take the treated cotton back to their nests to use as bedding, once the treated cotton enters the nest it kills the uninvited house guest living there (the deer tick). Tick tubes are spread throughout your property at the appropriate times and are found to reduce the risk of exposure to an infected tick by up to 97% on a treated property. The whole innovative concept is a win/win situation for people and mice. We are free from the risks deer ticks carry and the mice get a nice fluffy nest too! Mosquito Squad of Columbia kills ticks dead. Mosquito Squad of Columbia specializes in intensive tick control and prevention programs that include the effective use of tick tubes as well as our safe and effective barrier sprays. Contact us today to learn more about keeping yourself and your family safe from tick-borne illness and disease this season. We are dedicated to wiping out the risk of disease here in Columbia, one yard at a time.